Tucked away in Montgomery, Alabama, is the world’s only museum dedicated to writer F. Scott Fitzgerald and his wife, Zelda. 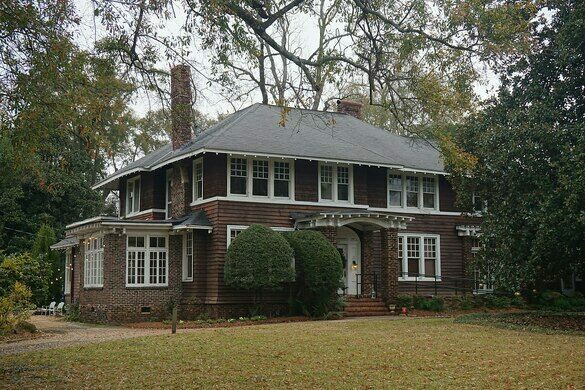 The Fitzgeralds, along with their daughter, Scottie, moved into the house at 919 Felder Avenue in the fall of 1931. At the time, Fitzgerald was working on his novel Tender is the Night, as well as a screenwriting job on Red-Headed Woman, a Jean Harlow movie. In January, 1932, Zelda had a mental collapse which led her to a Baltimore clinic. Scott and Scottie remained in the home through April of that year. Slated for destruction in 1986, Julian and Leslie McPhillips saved the home and established the Scott and Zelda Fitzgerald Museum Association, opening it to the public the following year. Zelda was from Montgomery, which led the couple to return there a number of times. The Felder house is the last surviving home in Montgomery either Scott or Zelda lived in. The main entrance to the house leads into a small foyer, with doors to the right and left, and stairs going up. The museum itself occupies the first floor, with private apartments above. The tour begins with a half hour video from the 1980’s telling the story of the house and the Fitzgeralds, including interviews with people who knew them during their time in Montgomery. The place is filled with photos, books, letters, personal possessions, and Fitzgerald-related memorabilia for sale. The museum, which celebrated its 25th anniversary in 2014, hosts annual galas and other events throughout the year. Not far off of I-65, the museum is in an old neighborhood near Alabama State University. There is plenty of street parking available. The country music legend's grave is surrounded by Astroturf because fans kept plucking out the grass.